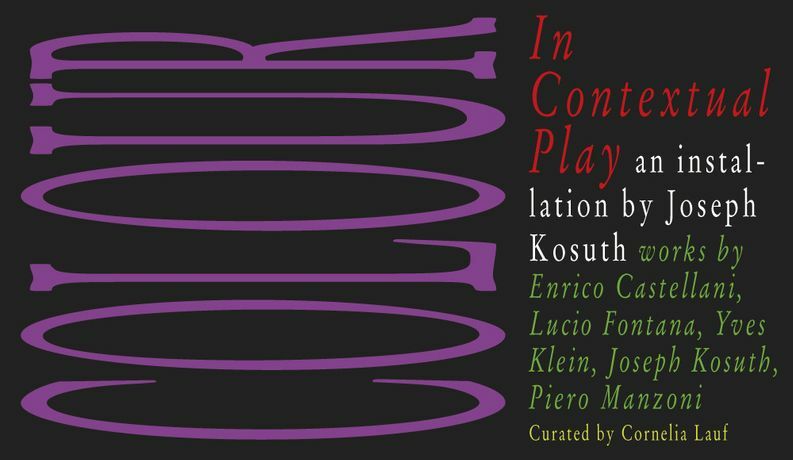 Mazzoleni London is pleased to announce ‘Colour in Contextual Play’, an installation by American conceptual artist Joseph Kosuth. 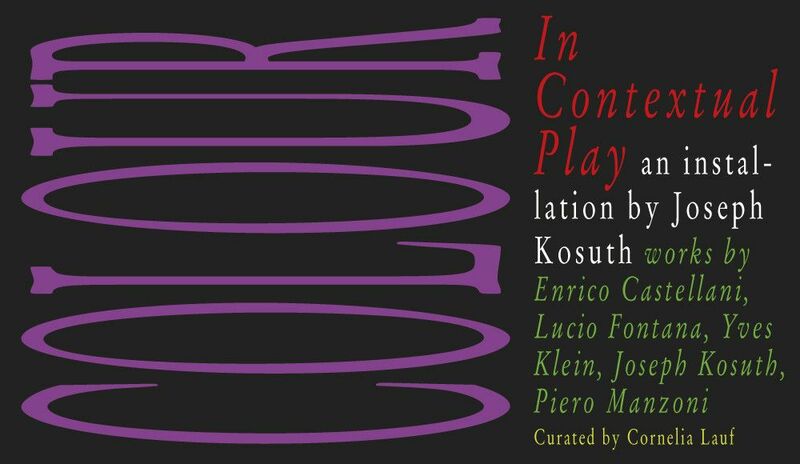 Part of a series in which Kosuth installs contemporaries or forebears, the exhibition will incorporate a selection of work by artists proposed by influential Arte Povera artist Emilio Prini (1943–2016), namely Enrico Castellani (b. 1930), Lucio Fontana (1899–1968), Yves Klein (1928–1963), Kosuth himself and Piero Manzoni (1933–1963). The exhibition will investigate the idea of colour, a theme that is explored by each of these Post-War artists conceptually as well as technically. The exhibition is curated by Dr. Cornelia Lauf, an art historian based in Rome and Sicily.